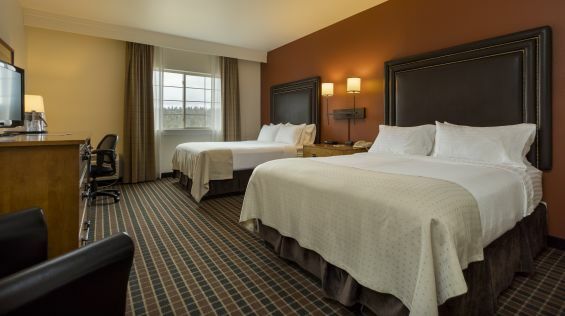 Double Queen Guestrooms at Running Y Ranch Resort feature two sumptuous Queen beds topped with 300-thread-count linens, spa style bathrooms, a 42" flat-screen television, and an extensive cable package, including HBO. This upscale Klamath Lake lodging option also includes a table and seating for two and ample storage space with a five-drawer dresser. Amenities include free wireless Internet, a spa-style bathroom with plush terry bath towels and a patio or deck in select rooms.